Step right up for a podcast dedicated to killer clowns in cinema! While originally designed to make us laugh, these circus denizens usually succeed in having the opposite effect. 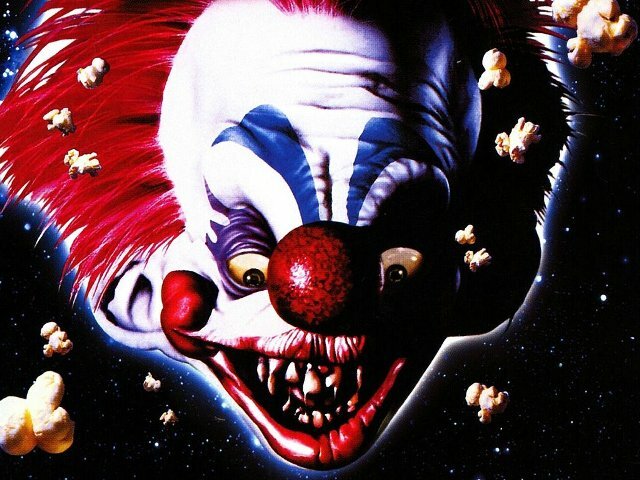 Tonight we’ll discuss Killer Klowns from Outer Space, the controversial Clownhouse, and The Clown at Midnight! Jason, the Bartender of Terror, will be supplying some vodka drenched sno-cones to help keep us clownin’ well past the witching hour. Oh…and we’ll have a little Svengoolie too! Download the Mp3 below and enjoy a day at our sinister circus! This entry was posted in Big 80's Horror!, Podcasts! and tagged CHRISTOPHER PLUMMER, CLOWNHOUSE, Killer Clowns, KILLER KLOWNS FROM OUTER SPACE, MARGOT KIDDER, THE CLOWN AT MIDNIGHT. Bookmark the permalink. ← Inside the Dungeon of COUNT GORE DE VOL!